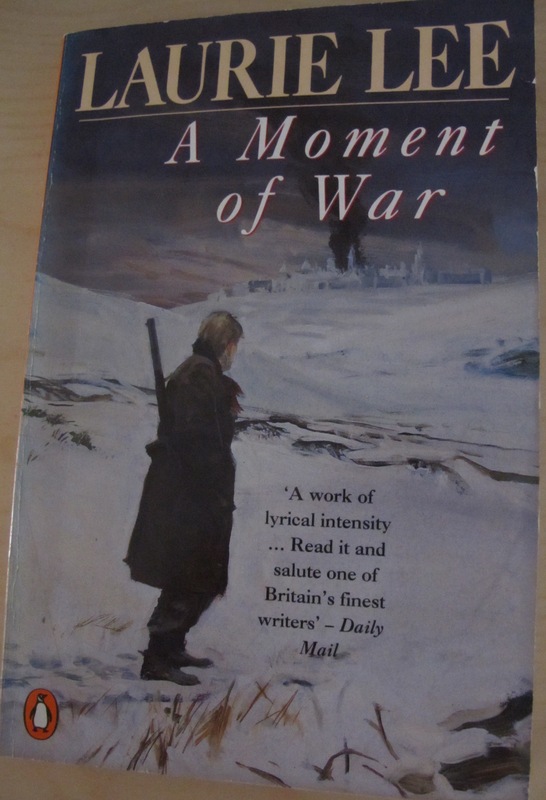 Perhaps anyone considering going to war should read this book first. This entry was posted in Books about Spain and tagged Andalucia, books, Sandra Danby, Spain, travel on September 14, 2013 by sandradan1. Marvellous, Sandra. Do keep these coming.
. My husband passed away on Sep 5. he had been ill a long time, over two years but died peacefully, without pain. At the moment my grief is partly absorbed by busy-ness – but when the Memorial Service is over and I have to begin a new life I shall re-read Laurie Lee. Thank you for the stimulus. Anyone considering going to war should read any book first.